makes patches of warm color. And bright color notes enliven the whole. That orange calico cat ought to make a nice color spot! We'd have plants all over the place. ...... I dream and think and plan about us so much. Sometimes it almost seems as though this separation is the dream and I'll wake up and find we're together and everything is okay. But it can't be so very long now. I still hope fall will bring an end of this business. 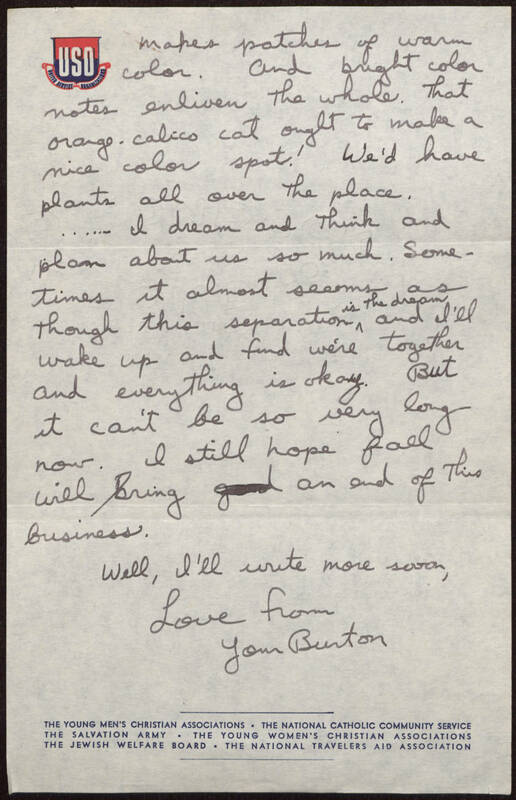 Well, I'll write more soon, Love from Your Burton.